I gave up taking notes on this baby. There was too much solid information. If you are one of those people who say “Of course there is a connection between the mind and the gut you dumbass,” I would still encourage you to read this. I picked this up due to my extensive antibiotic use and the lasting impact of that use. Thank you Lyme Disease. I’m in a bit of a trough health wise at the moment, so I’m looking around for what can pull me up and out. 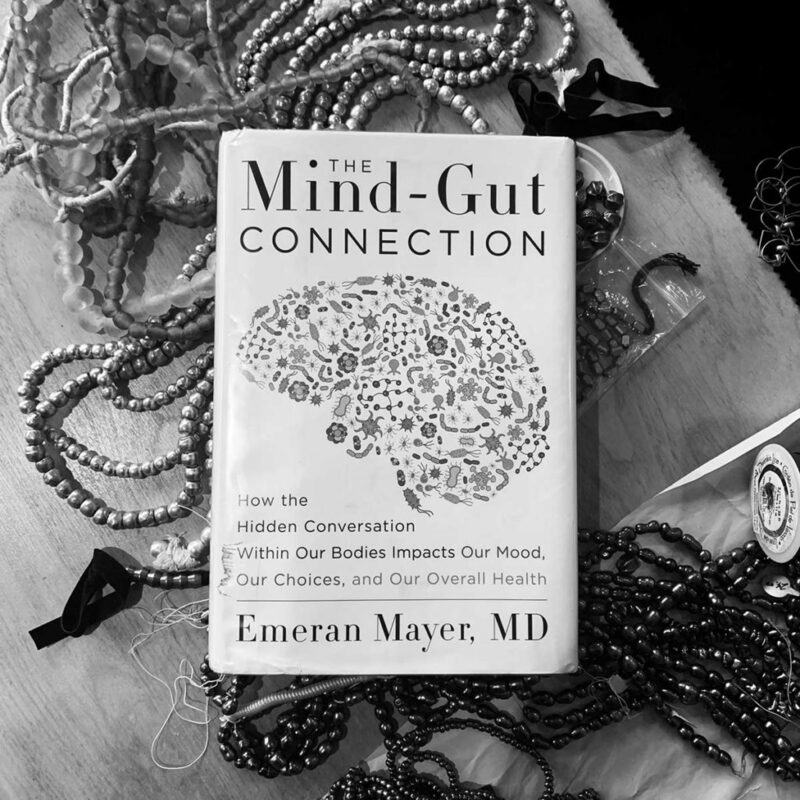 Emeran Mayer’s “The Mind-Gut Connection” gave me some new fodder. And was the perfect read just before my colonoscopy planned for next week. Wish me luck. T-minus ten days to lift off. I enjoyed this book. Get it, read it. Listen to your intestines if they are working. Mine are working better these days. Maybe because I am eating more vegetarian meals. My sister by marriage just started the South Beach Diet. She’s works at a bookstore. What can I say. No carbs, no fruit (at the beginning), no booze, low sugar basically. She says it works. Dropped her blood sugar and she’s a diabetic. Shots and everything. Bit of a lush too, so the no booze surprised me. As far as the colonoscopy. Piece of cake. Look at it as a nice unexpected nap. And look up Dave Barry’s essay on the subject. Great to see you and your intestines. Maybe we can two-for-one colonoscopy in the future? Last time I had my colonoscopy my nurses told me I was hilarious while under anesthesia, whatever that means.